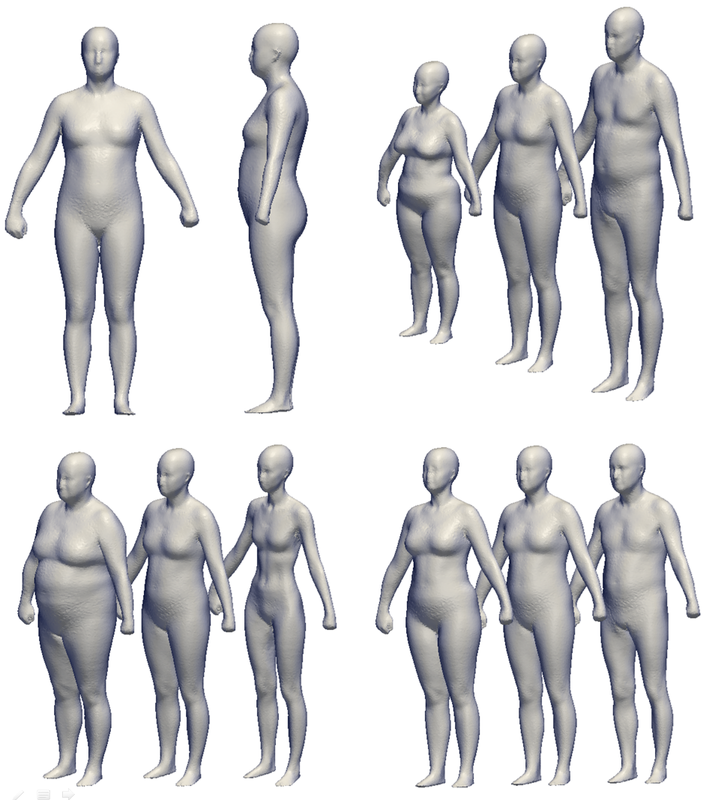 The human body occurs in many shapes and sizes. For product developers it is important to have a realistic representation of the human body and the wide range of variations available, to be able to design ergonomic products with an optimal fit. In this research, a methodology to construct a realistic shape model from a given population is proposed. First, a correspondence between all surfaces of the population is found. Using PCA, a shape model is built from the corresponding surfaces. This model consists of the mean shape and the main variances inside the population. When a feature matrix is available, the influence of each principal component on a specific feature can be determined and a feature weight vector, containing the weight of each principal component, can be extracted. By adapting the feature weight vector, a new surface with specific features can be constructed, or the features of a specific body can be adapted. 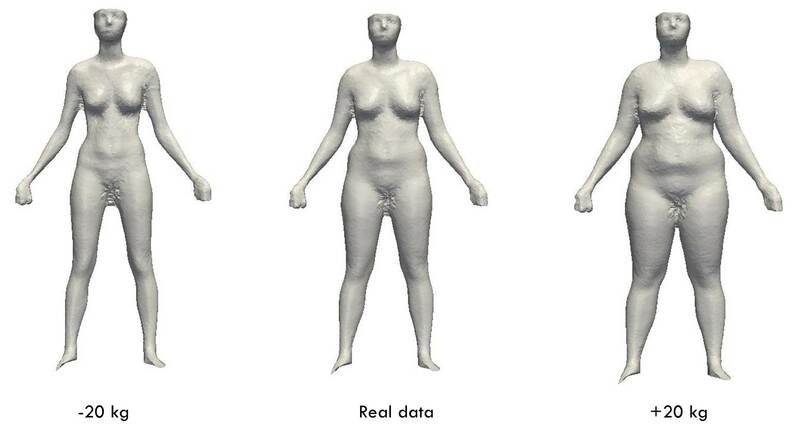 In this research, we used features as length, BMI and gender, resulting in realistic bodies.